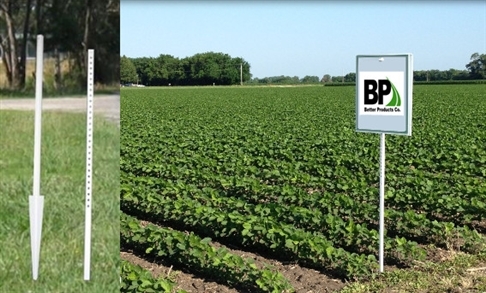 Agricultural Field Sign Post/Seed Stakes -Better Products Co.
We offer agricultural field sign posts in a wide variety of lengths and colors to suit every purpose, whether you need to mark and identify your crops or make clear the proper direction for vehicles to travel on your farm. · High strength heavy duty steel. · Consist of a steel square tube and a steel bottom post. · White powder coated for excellent corrosion protection. · Unique bottom design that reduces difficult soil conditions. · Note: OEM service is available, different materials and specifications can be customized according to your demands.